Last month, Gareth shared about practicing with Wake Up London and Wake Up Hong Kong. In this article, he writes about transitioning between both Sanghas and adjusting to different cultures. How did you transition between the two Sanghas? It’s not an easy transition between two different cultures because when I first came to Wake Up Hong Kong (HK) before I went to Taiwan for a year, they always were very good at finding someone to translate from Cantonese into English. But this time, when I returned to Wake Up HK, it’s harder to find someone who wants to do the translation. Sometimes, they are not sure how to fit me in or they plan to use a recording. For example, one of the facilitators wanted to do total relaxation and was going to do it in Cantonese and English. Then she had a weak throat so she wanted to use a recording, but she realized that it was in Cantonese and apologized. I told her that it was okay and I could do it on my own because I didn’t understand Cantonese. Sometimes I do feel out of place because when the core members come together, they speak in Cantonese. It hasn’t been an easy transition especially when they invite me to the core group. Their core practices are in Cantonese. Sometimes there’s a volunteer who translates for me, but if that person doesn’t show up, it becomes a little awkward sometimes. I haven’t figured that out yet. So far I haven’t been to their core group practices, but I’ll probably go at some point. It is good to have a focus with just the core group members and practice together. It’s nice to be in a group that’s more advanced. When Wake Up Hong Kong decided to organise an-all ages group for the first session and then a Wake Up group for the second session every month, has there been any conflict from people who say that they are not inclusive? We had a talk about it. We did a hike from the temple at the AIAB with the Wake Up core members and monastics. Every month on a weekend, we get together at the practice centre. On the Saturday we do various fun activities with the monastics and then we have the practices and trainings. We stay over for the Day of Mindfulness and have a Wake Up sharing the following day. 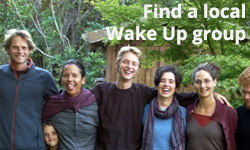 Anyone can come to the Day of Mindfulness on Saturday and then afterwards it is just for Wake Uppers to get together. We hiked together and then some of the Wake Up core members raised the concern of having too many people over the age range and to find a solution. We stay over for the Day of Mindfulness and have a Wake Up sharing the following day. So we can still offer practice opportunities for everyone, but keep one session for just the Wake Up age range. Everyone agreed, including monastics and lay friends, so there’s been no opposition. Everyone in the core group is in the Wake Up age range. What makes Wake Up Wake Up is being in the age range. Originally for the last year or so, it’s been only for Wake Up core members to spend a weekend together and go over facilitation skills and inviting the bell. There has been a recent change in that, and they are opening it up to non-core members. They had the first one on 13-14 February with the theme “Be Your Own Valentine.” There were about 30 members. They even had participants from Macau, another area of China. They started to create a Sangha in Macau so they came to Hong Kong for support. About 10 of them came. Do you have any thoughts on how to bridge the language and cultural considerations in our transnational movement? That’s not an easy question. For example at the AIAB, there will always be translations for English speakers, such as Dharma talks. Sometimes some practices are lead in two languages, English and Cantonese, such as the Five Contemplations. There are a lot of things going on because in Hong Kong, we have a Vietnamese community. There will be specific days where the Vietnamese just come, or there is a Vietnamese translation available for an event. The other thing is that we have another group of people who come from mainland China and speak Mandarin, not Cantonese, during the retreat. For example, we have a Mandarin family and language-based families. It’s a lot of different cultural groups, and there is also a small group of Westerners. There aren’t many of us and they aren’t generally part of the Wake Up core group. I’m the only core member who doesn’t speak Cantonese. I try to get to know people on an individual basis. I try to get to know people on an individual basis. After the session, people in the group talk Cantonese naturally, so I try to build more individual connections to understand them. A lot of them don’t feel comfortable speaking English. I haven’t experienced this in other countries but in Hong Kong, people feel embarrassed about speaking in English. They feel don’t confident and feel judgment from other people. It’s a status thing. For example, if they speak English well, they’ve got a higher status. So if they speak English poorly, they have a lower status. When you come to the Sangha, there isn’t this judgment, but people have this baggage from the past about speaking English even though their English is pretty good. But the willingness is not always there. It will come to a time where you get to know individual people. I tend to go to the AIAB where it is more English focused, and I feel more comfortable over there rather than in a setting where everyone who speaks Cantonese and I feel lost. If within the next year or two, there are more Westerners joining Wake Up Hong Kong, do you think that there will be more translations? Yes, I think so. I think it’d be more organized. Like at the AIAB where someone who is assigned to translate Dharma talks during the Day of Mindfulness. In the Wake Up group, it’s more, “Hhmm, we have someone who doesn’t speak Cantonese. What can we do?” and then try to manage that. It depends on facilitators that night who can translate into English. Not everyone is willing to do a translation but for those who are willing to do it but aren’t there, it can be a challenge. How many people go to the Wake Up sessions? About 20 people come to the Wake Up sessions. Do you have any recommendations for Wake Uppers who may be moving to other countries? Try to use any key contacts that you have. For example, I told Sam, a friend I met in Plum Village, that I was going to come to Hong Kong. He was very pro-active preparing and paved the way for me to come. Just let people know who you are, what you have done, and get involved quickly. 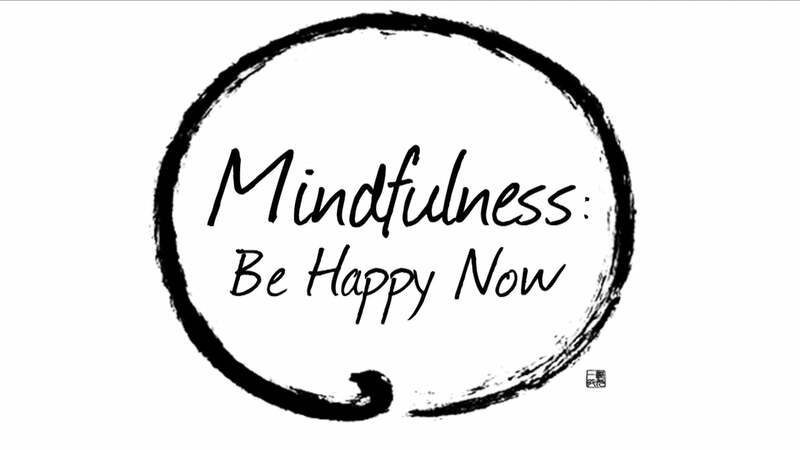 I remember that for the first Day of Mindfulness I attended, I introduced myself and some people commented, “Oh, you’re Gareth! We’ve heard about you…” so the Sangha members knew that I was definitely coming ahead of time and I went to the winter retreat in Plum Village. I don’t feel lost or meet people whom I don’t know. Since they already got the messages ahead of the time, I already felt at home. Before I met them, I thought that, yeah I am going to get lost and it’s going to be unfamiliar with new people. But I felt at home and welcomed. It’s great if it’s possible to use any contacts like that but even if you don’t have one, just be patient and people will get to know you and you will get to know them. You’ll find your place in the Sangha and know how to make the most of the Sangha and they know how they can get the most out of you. I actually haven’t been in Hong Kong that long, but I’m a core Wake Up member and a liaison for Wake Up International. Things are coming together. Just let people know who you are, what you have done, and get involved quickly. I told them that I helped to organized the meditation flash mobs in London and they said, “Come to the core group meeting.” Even though I wasn’t a core member yet, they invited me because they wanted to make use of my international experience. As you settle in, be patient. We don’t do a lot of volunteering, but there are elements of that. For example, an OI couple does a lot of volunteering and invited Wake Up and all-ages Sangha members to meet immigrant families in Hong Kong. There are different projects going on for mindfulness in schools that are taking place in HK. This particular project is led by an OI member, who finds Wake Uppers to support it. For Wake Up retreats at AIAB, there are different roles. We’ve been involved in publicity. Others designed posters because they have particular skills, such as graphic design skills or engage in social networking, such as Facebook, to spread the word as much as possible. We work together with the monastics on a schedule. We had a meeting with monastics, and there’s usually one who’s assigned to the Wake Up booth. If there is a Wake Up Dharma-sharing, this monastic is assigned to that family and is involved in Wake Up activities. We mostly talk about schedule. The monastics come up with schedule, and we fine-tune with them. Different conversations occur, such as do we need more time for performance at Be In… For example, one of the monastics said we should have a lot of games during this period or we don’t need them in another period. We don’t do stick exercises, etc. We support during the retreat. For example, there are different volunteer roles coming up, such as leading people to their rooms, doing translations, working meditation, or preparing for the 5 Mindfulness Trainings. Whereas in the Wake Up UK retreat at Binley Farm, everything was done by the Wake Up core group and they created their own schedule.